Comics Experience staffers have been out and about lately, discussing everything from digital comics to how to revive your creativity. Here's some highlights and links! On the Revive Your Creativity blog, Comics Experience founder Andy Schmidt, as well as staff members Rob Anderson and Paul Allor, explained how they try to "stay creative on a consistent basis." Andy offered several thoughts including seeking inspiration from outside of comics, and experimenting with new approaches in your writing you've never done before. Rob discussed the importance of relaxing your mind, while Paul seeks inspiration in art (among other places) and uses structure to drive himself forward even when he's not in the mood. 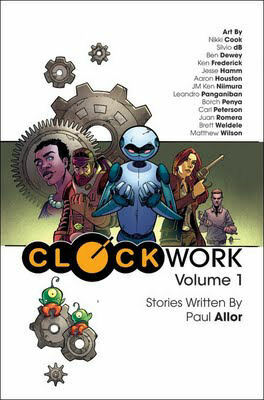 Book Club Manager Paul Allor was recently interviewed on the Graphicly blog and he discussed Comics Experience, his anthology Clockwork Volume 1 available on Graphicly and the merits of creators trying their hand at short comic scripts. Paul also did an interesting guest column over on Graphicly, analyzing the benefits of digital comics for creators. As Paul put it, "Print comics can be a cruel mistress, especially for a self-published creator," whereas with digital, "...the needs of your story [can] dictate format and length." Paul offers several tips for comic creators considering entering the digital realm. General Manager Rob Anderson was recently interviewed on the Comic Book Fury podcast. Rob first discussed his upcoming book, Rex, Zombie Killer, but then went on to have a fairly in-depth conversation with host Tim Robinson on Comics Experience courses and the Creators Workshop community. 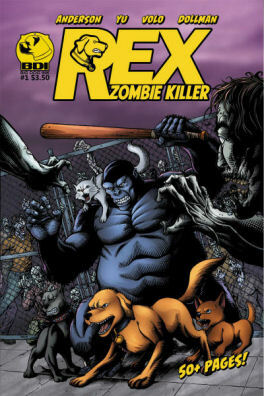 Rob pointed out that not only was the Rex, Zombie Killer story started in a Comics Experience course, and then subsequently workshopped in the Creators Workshop, but every member of the creative team had some connection to Comics Experience as well.